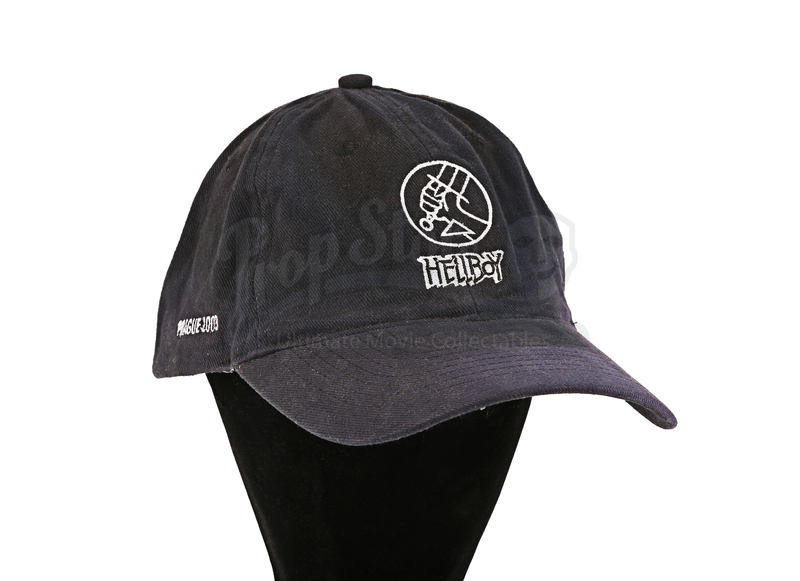 A crew hat from the production of the 2004 Guillermo del Toro movie Hellboy. Hellboy (Ron Perlman) is a demon, raised from his early life after being recovered from a Nazi ritual site during World War II. 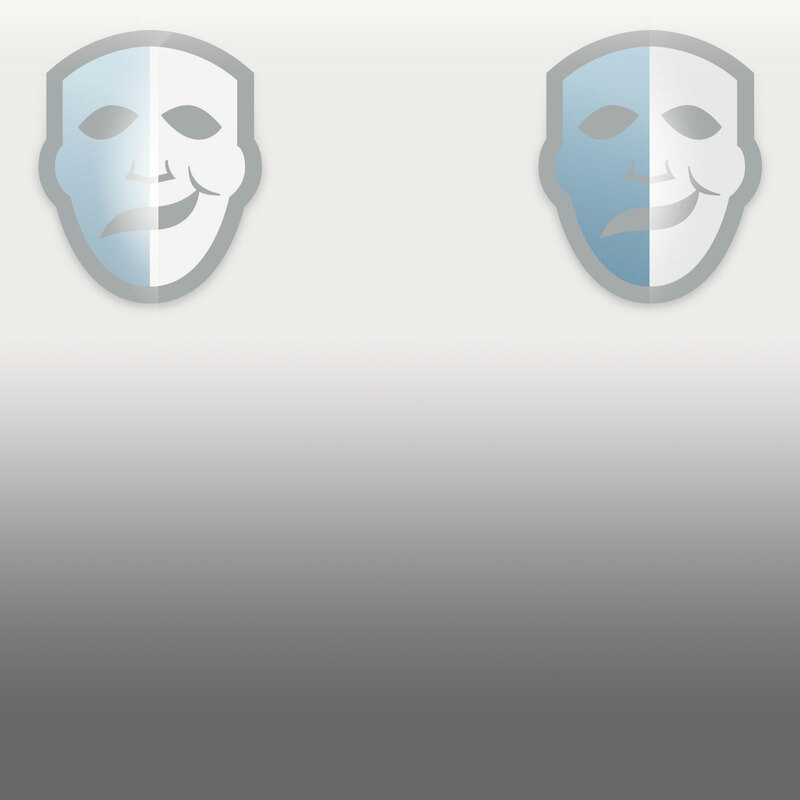 He grows to maturity in the care of the Bureau for Paranormal Research and Defence (BPRD). When Rasputin (Karel Roden) returns to try and complete the ritual that brought Hellboy to Earth and bring about Armageddon, it’s up to the BPRD to stop him before it’s too late. 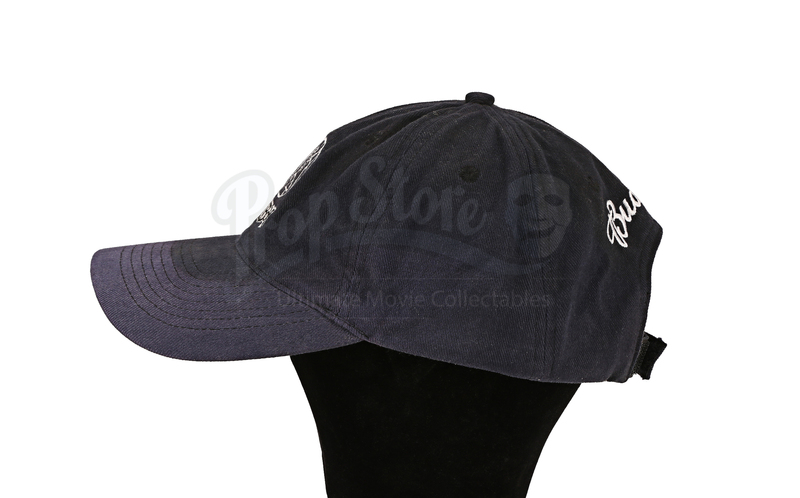 This navy blue crew cap was a gift to the crew working on Hellboy. It is 100% cotton and ‘one size fits all’ with an adjustable Velcro® strap at the back. 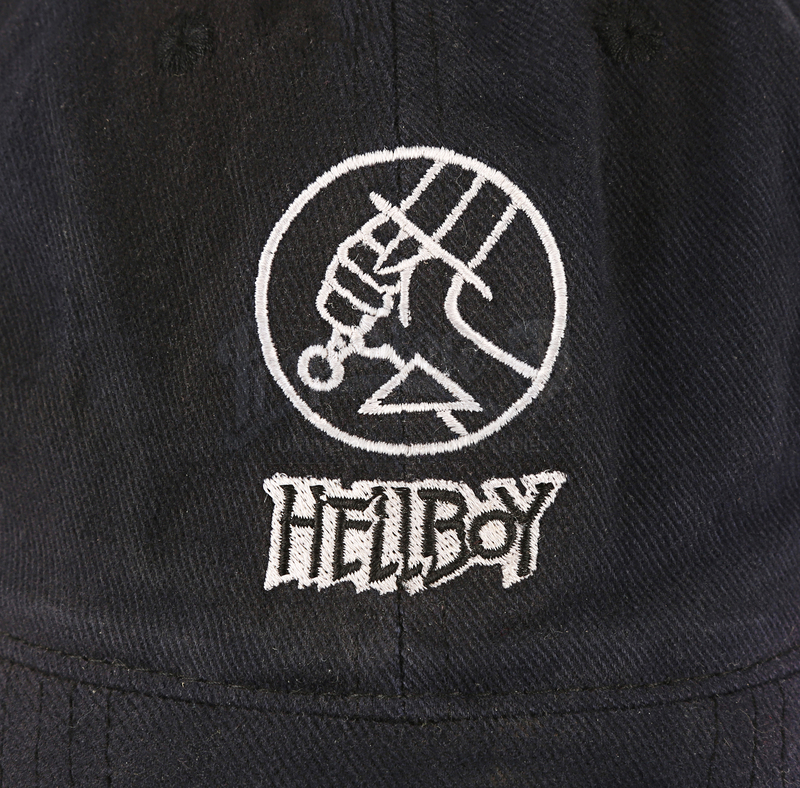 There is an embroidered Hellboy logo on the front in white thread, with the movie font of Hellboy below and the words ‘Prague 2003’ on the side. 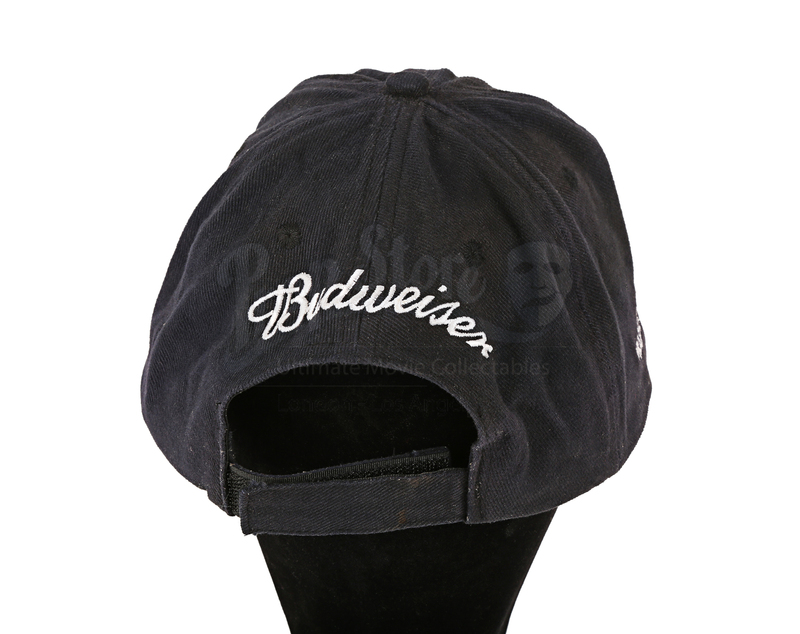 This item displays signs of production use and wear, it has suffered sun-bleaching on the brim, where the navy blue cotton has faded to an indigo colour around the outer edge. Materials: Cotton, Ferrous Metals, Man Made Woven Fibres.